Karina's Kreations: Stampin'Up Easter Card! 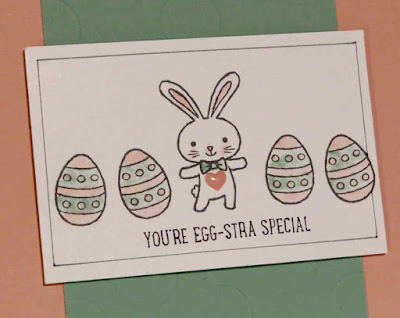 I just had to share one last Easter card using the Basket Bunch stamp set #143186. It's on sale right now if you wanted it for next year! 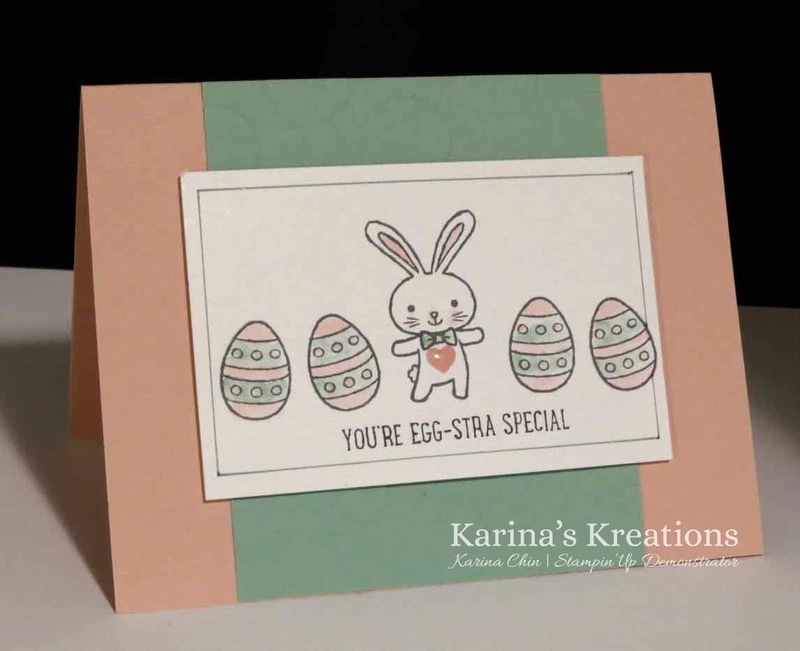 I stamped the bunny and eggs on Whisper White card stock with Basic Gray Archival Ink. I colored the images with an aqua painter and ink from Mint Macaron and Bushing Bride ink pads. I felt the image was missing something so I created a frame with a Basic Gray Stampin' Write marker and a ruler. I think it added a lot to my bunny image. The mint macaron card stock was still available so if you love this color, get it before it sells out. I embossed my Mint Macaron layer with the the Large Polka Dot #133739 embossing folder. This cute folder is retiring May 31.